The Intergovernmental Higher Academic Council (IHAC) present International Higher academic Council under the auspice of the International University of Fundamental Studies (IUFS) represents the FIRST and ONLY Organization in the World structured within a permanent and qualifying Academic Institution that is multifunctional in both its aims and objectives. 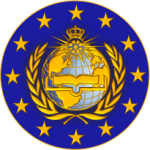 The IHAC has International Accreditation with United Nations Global Compact and deals with important International problems both theoretical and practical that are of interstate significance. The structure of the IHAC consists of Scientists with International authority and acclaim. The IHAC trains high-level International scientific and administrative personnel who are unique specialists in various fields of scientifically significant activities. Such professionals as well as those who train them represent universal value. The Group of Scientific Advisors and Consultants (to be agreed). In the Academic Council at all levels as well as in a group are Scientific Advisors including Consulting Foreign Scientists. IHAC under IUFS conducts preliminary work with applicants from around the world to international degrees (Bachelor, Master, Doctor, Grand-PhD) for preparation by candidates of their dissertation defense at the meeting of the IHAC, who organize the process of defense and awards Academic Degrees and Scientific Titles for special achievements (Professor, Full Professor). In regards International Diplomas for obtaining any Degree issued by IHAC under IUFS, in the first place according to the historically long and international tradition is the “philosophy” (Bachelor, Master, Doctor, Grand-Doctor of Philosophy in a particular sphere of Science and Scientifically significant activities), that emphasize the essential novelty of the proposed and defended material that are presented and defended dissertations of any level at IHAC under IUFS should be both theoretically and practically significant. The International Higher Attestation Commission (IHAC) structurally and functionally is a part of IUFS, and as the IHAC organizes defenses of dissertations it is also empowered to also issues relevant International Diplomas. The IHAC is scientific leadership by special research laboratories and specialized research centers as they are created. The IHAC has the right to perform on its own and offer a variety of academic programs (including their practical value and real cost), to interested parties in such programs to universities, research institutions, etc. and, if accepted and approved, coordinate the actual execution and subsequent use of the Programs. IHAC members do individual and collective scientific and scientifically significant activities, and create its own specialized publications with participation of Foreign Scientists such as relatively periodic scientific journal, scientific almanac, thematic collections, and monographs. The publications are made in different languages ​​of the world, in printed and e-form. 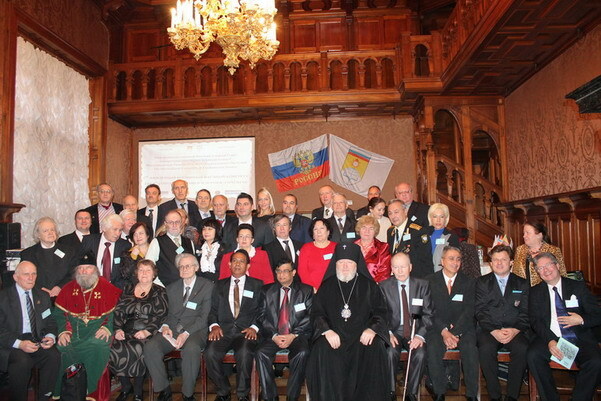 The IHAC also organizes and conducts various international (World) congresses, conferences, etc.